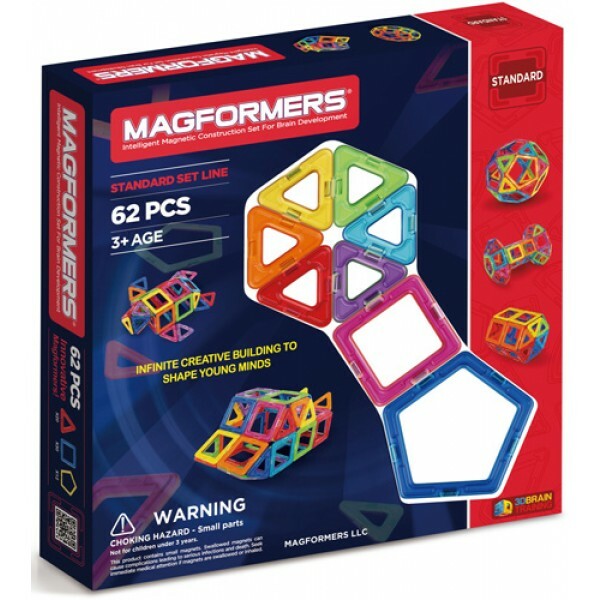 You'll enjoy more colorful, magical, and powerful magnets in this larger version of the Magformers basic set. 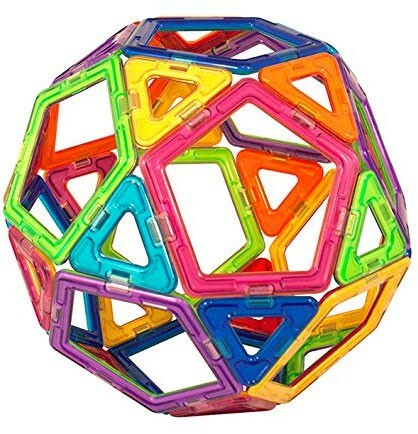 The 62 Piece Set contains 30 squares, 20 triangles, and adds building diversity with 12 pentagons. A wonderful set for the novice builder who's ready to leap into creativity. 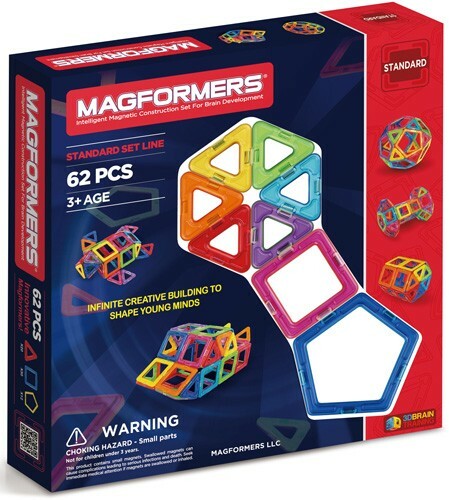 Magformers magnetic building kits are easy to use and never frustrating, because the plastic-sealed magnets always attract. 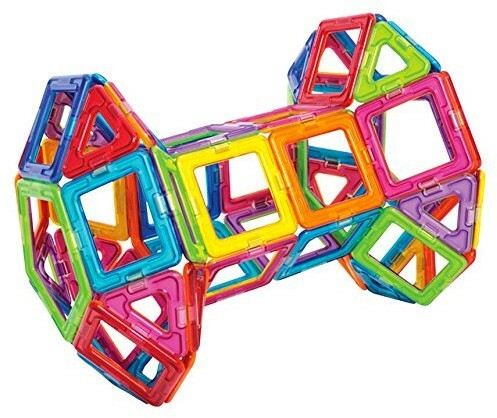 Build flat shapes, then fold them together to create 3D structures! 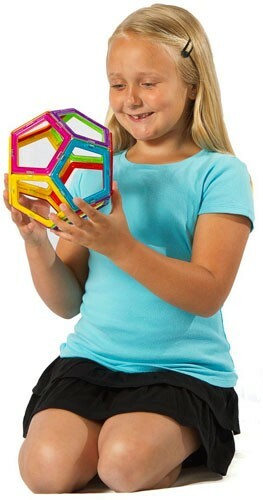 What will your Mighty Girl create?